I’ve been curious for some time about how realistic it is to integrate ‘wild’ foods into my diet and whether they can make a significant contribution. Firstly I should identify what I mean by a wild food. 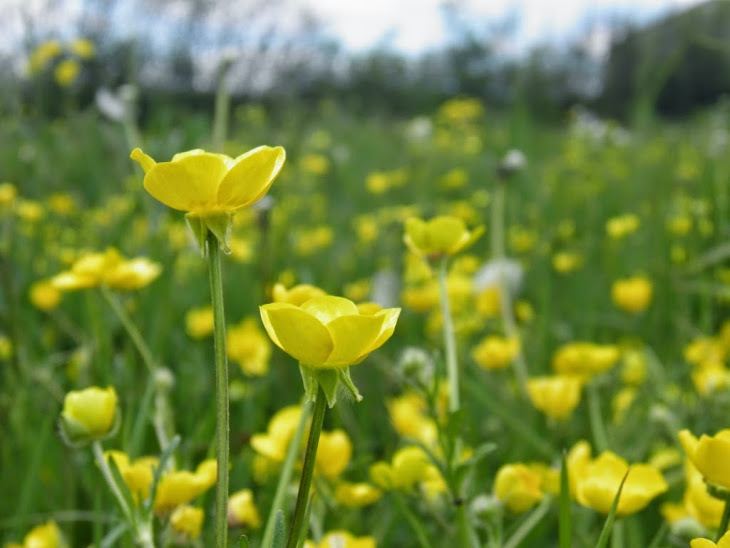 These are essentially plants or fungi that are not cultivated with the intention of consumption, but grow freely in the countryside or disperse into gardens. So my plan is to pick one species at a time testing it out on myself first, possibly family & friends, and then report on ease of identification, how easy to find and palatability. I should stress that I will abide by the laws & codes of conduct of the countryside, ensure that I do not compromise the future local viability of the species, and avoid plants that may be contaminated by pollutants (agricultural & roadside). I am lucky that our current rented garden should keep me going for some time as it is fairly representative of the local countryside with woodland, hedgerow, open spaces and an area of cultivation. So to my first plant subject - the easily overlooked Hairy Bitter-cress (Cardamine Hirsuta). This was an easy first choice as it grows fairly rampantly in the garden, particularly on the vegetable patch and on a steep bank. It is also available now in mid-winter, a real bonus with the scarcity of fresh salad plants. I have in the past weeded it out from the vegetable plots wastefully, not realising its dietary potential. On this occasion I pulled up a good sized plant (about 5 inches in diameter) already with tiny white flowers and a characteristic basal rosette of about 20 leaves. I can identify this species fairly easily having spent some time focussing on it last year. However it closely resembles Wavy Bitter-cress (C.flexuosa), the key difference being that it unusually for a crucifer (member of cabbage family) only has 4 stamens in the flower. 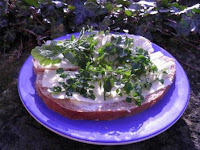 I assume that the Wavy Bitter-cress is less palatable, as I could not find it recorded in wild food sources. 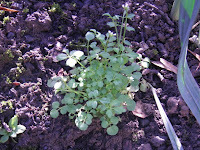 The Hairy Bitter-cress had a distinctive peppery taste, stronger in flavour that normal cress and not too dissimilar to rocket. I ate it first with bread and cheese and the next day with beans on toast (also enjoyed by my wife). We found it perfectly acceptable and indeed a pleasant alternative/addition to the meals. I would certainly recommend it, saving on buying expensive bags of rocket or pots of cress.